Taiwanese Gua Bao is probably one of my favorite authentic Taiwanese foods. 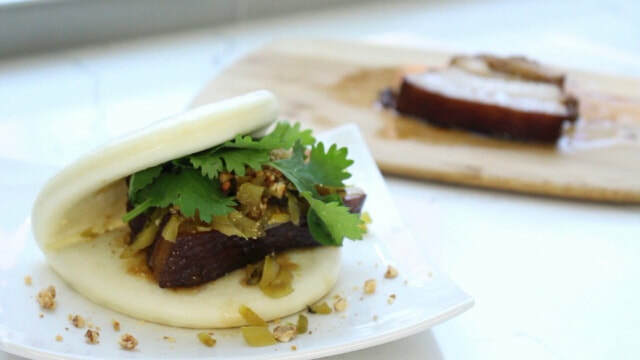 It's a thick slice of braised pork belly sandwiched in-between a fluffy steamed bun (aka bao) that's so tender it literally melts in your mouth. 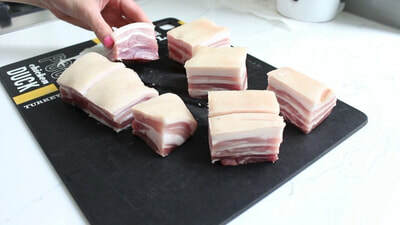 This recipe uses the braising liquid from my slow cooker ﻿Braised Pork Belly Recipe for an extremely tender meat. 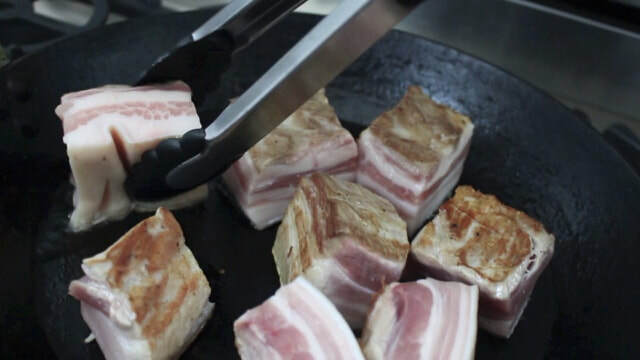 It's also combined with pickled mustard greens and crushed honey roasted peanuts giving it a sweet & sour taste to offset the fattyiness of the pork belly. Guaranteed to be a hit, I have yet to meet a person who doesn't like Gua Bao. Cut the pork belly into large pieces (about the size of your steamed buns), then brown for a few minutes before putting into your slow cooker. 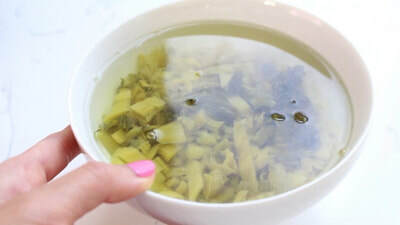 Add the braising liquid to the slow cooker, then cook on high for 6 hours. 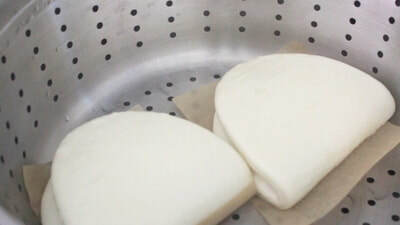 When the pork is almost done cooking, steam the frozen steamed buns (bao) for 8-10 minutes or until soft and fluffy. Prepare the pickled mustard greens by chopping into small pieces, then soaking for 10 minutes with cold water to remove the saltiness. 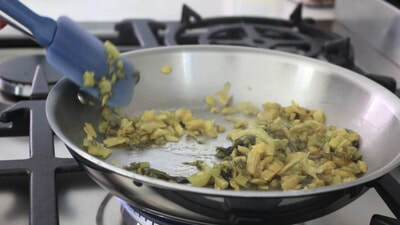 Stir-fry with a bit of oil, and season with organic cane sugar (to taste). Prepare some crushed honey roasted peanuts. When all the ingredients are prepared, assemble the bao. 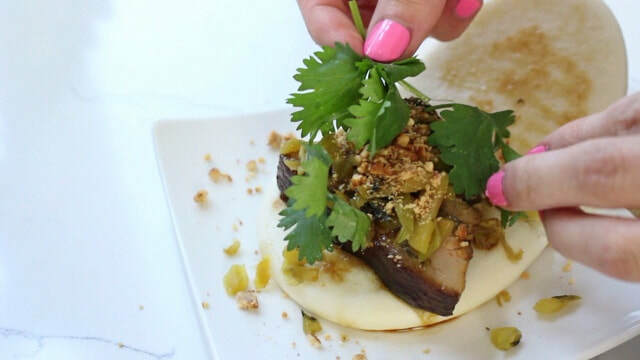 Start with placing a thick slice of pork belly in the bao, followed by the pickled mustard greens, some braising liquid, crushed honey roasted peanuts, and finally topping with a generous amount of cilantro.